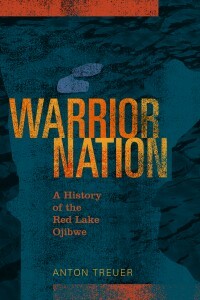 Dr. Anton Treuer, professor of languages and indigenous studies, launched his new book, “Warrior Nation: History of the Red Lake Ojibwe,” at a late-October release party held at the Minnesota Historical Society. The book documents four centuries of the Red Lake Nation’s history through stories carried by its people. Home to the largest number of Ojibwe-speaking people in Minnesota, Red Lake developed the first modern indigenous democratic governance system in the United States, decades before any other tribe. For the first time, the Red Lake band opened its archival collections which detail early 20th Century negotiations over reservation boundaries. It is Treuer’s fourth book published by the Minnesota Historical Society and his 14th overall.